[HollywoodInvestigator.com] Christians are making movies to spread the gospel -- but it's no longer limited to the corny or preachy. They're making slick gritty films that compete with Hollywood on its own terms -- hard-boiled Christian crime thrillers that evoke the bloody works of the Quentin Tarantino. Hailing from this new wave of Christian indie filmmakers is Bobby Downes, who's worked as an Assistant Production Manager for Warner Bros, and his brother Kevin, a SAG actor. The Downes brothers produce films for Signal Hill Pictures, their Christian production company. Signal Hill's business structure is that of other indies. The company raises money from private investors, keeps the budget low, and casts recognizable SAG actors, albeit from the B-list (e.g., Stacy Keach). An exception is Kevin Downes, who isn't even B-list, but who stars in such Signal Hill productions as Lay It Down, along with Sean McEwen. Currently in post-production, Lay It Down is a Christian answer to The Fast and the Furious. A tale of illegal street racing, Signal Hill describes the film as: "an evangelistic answer for those interested in fast cars, and the fast life. ... Ride with Ben as he finds the way of the narrow road to eternal life through Jesus Christ." All Signal Hill ad copy reflect a curious blend of evangelical jargon and Hollywood hype. Mixing those two worlds is its core philosophy. In an exclusive interview, Bobby Downes complained that too much contemporary Christian culture is heavy-handed and exclusionary. Too many Christian films preach rather than entertain, thus deterring people from seeking Christ. Bobby says that it's "God who draws men to Him," that Christians cannot force people to God. The Signal Hill philosophy is not to preach or condemn, but to provoke thought, thereby opening viewers' hearts to God. Then leave the rest to God. Signal Hill seeks to express a Christian message that's broad enough to include Catholics, and a God-based message broad enough to include Jews and Muslims. Bobby likens his films to Touched by an Angel, of which he is a fan. The 1990s saw an explosion of indie film production and distribution, reflecting a diversity of views outside the Hollywood "popcorn movie" mainstream. Signal Hill has rode that indie wave. One of its recent films, Mercy Streets, played on 175 screens in 35 markets. No mean feat. Most indie films, Christian or otherwise, fail to find theatrical distribution. Their distribution is usually limited to direct-to-video and cable TV. Signal Hill's secret to theatrical success is that of Roger Corman and Bob Shaye: Don't just form a production company -- handle your own distribution as well. Mercy Streets's theatrical distribution was handled by Signal Hill's sister company, Christian Cinema, which also handles video distribution for both Signal Hill and other production companies. 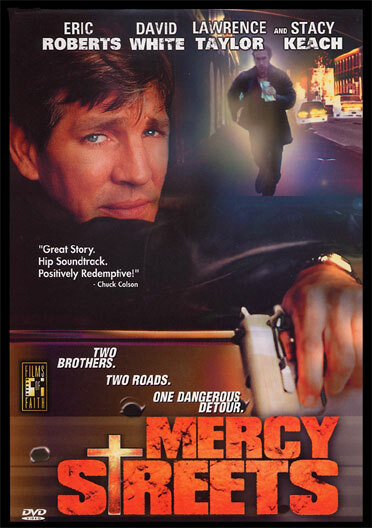 Mercy Streets is a gritty crime thriller whose B-list cast includes Eric Roberts and Stacy Keach. Says Bobby Downes, although Mercy Streets was shot for under $1 million, "someone at DreamWorks" said it looked like a $5 million film. How do devout Christians respond to gritty crime thrillers preaching the word of God? Some like it. At the Christian Answers website, one 42-year-old fan, Brenda, raved: "Yes! Finally -- A progressive, smart, hip, stylized Christian film! It brought filmmakers such as the Coen brothers, Tarantino and Tom Tykwer to mind." While Signal Hill is an indie, Christians also have what may be termed their own mini-major: Gener8xion Entertainment, led by Matthew Crouch. With offices in Hollywood, Gener8xion is a sister company to TBN, a TV network that's long produced Christian sitcoms, children's shows, and rock videos. One of Gener8xion's biggest triumphs to date was 1999's The Omega Code, starring such Hollywood veterans as Michael York and Catherine Oxenburg. Retelling the familiar tale of the rise of the Antichrist, The Omega Code grossed nearly $13 million in theaters. Gener8xion claims that Daily Variety ranked The Omega Code as number One in their "Top 100 Limited Release" films of July 1999 - July 2000. Thus, The Omega Code out-earned such Oscar-winners as Boys Don't Cry and All About My Mother. After demonstrating to Hollywood that Christians are yet another underserved niche market (a common complaint of many groups, from seniors to gays to ethnic minorities), Gener8xion signed an output deal with GoodTimes distributors. Not all Christians welcome the success of Signal Hill or Gener8xion. The Deception in the Church website condemns The Omega Code for encouraging a false faith in "Bible code," a practice rejected by many rabbis, priests, and ministers. One Christian woman informed this reporter that TBN "dangerously misleads" with its "false Christianity." TBN's hosts and guests include headbangers-for-Christ who practice "Christian metal," a genre condemned by Pentecostal televangelist Jimmy Swaggart. And while some Christians love Mercy Streets for its gritty semblance to Fargo and Pulp Fiction, others hate it for the same reason. The Dove Foundation also sponsors the Dove Awards, presumably to attract media attention. Despite which, Hollywood has yet to take note. 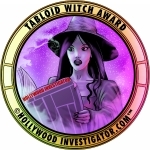 Every year, Daily Variety and The Hollywood Reporter grow fat with ad copy and reportage for some awards, not for others. The Doves fall into the ignored category. Acknowledging a "great diversity" among Christians, Bobby Downes feels pressure from both ends -- from secular film crews, some of whom feel uncomfortable on his productions, and from fellow Christians who dislike his soft, yet worldly, Touched by an Angel approach. Most religions have members who shun the world to varying degrees: the Amish, Hasidic Jews, Catholic monks on one extreme, secular folk on the other. But for "worldly Christians" who enjoy pop culture (a growing and significant market), the indie film boom provides a growing number of entertainment options. 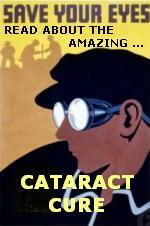 Related sites: Hollywood Jesus, Crimson Light, Windracer Films, Act One.